I’m joining in on another Good Girl’s blogger circle this week, and we’re featuring something that all girls love; GLITTER! Enough just isn’t enough, and these girls and I just can’t get enough! So follow along and click through everyone’s pages to see what’s on our glitter must have lists. In true champagne taste on a beer budget style, all my favorite glittered items are DIY and link to step by step tutorials, so you can add some extra glitter to your life. First up is from my favorite DIY blog, P.S.- I made this… Erica shows you how to make chocolate bling! I might become obsessed with these edible jewels and start making them for every occasion! Today’s Wednesday, that’s an occasion, right?! 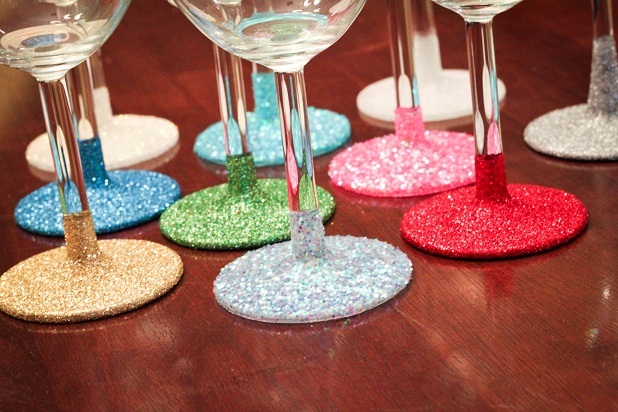 Next try some glittered wine glasses or champagne flutes. These are perfect for the holiday season, new years, bridesmaids parties, hostess gifts, etc… Brought to you by Inspire, Design and Create. 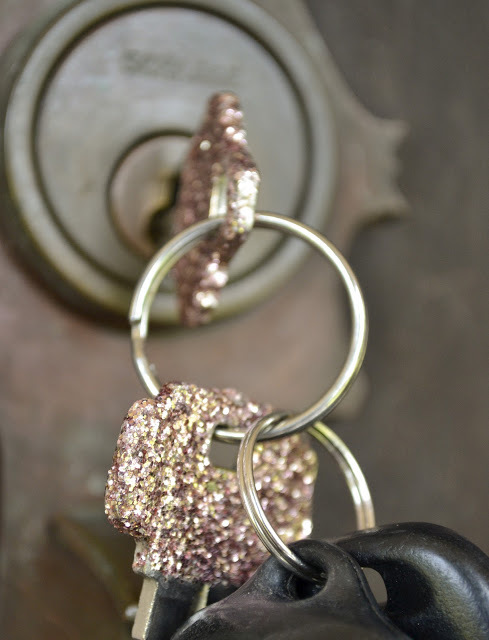 Find little ways to add glitter in your life by topping off your keys like Alyssa in Neck to Hemline. 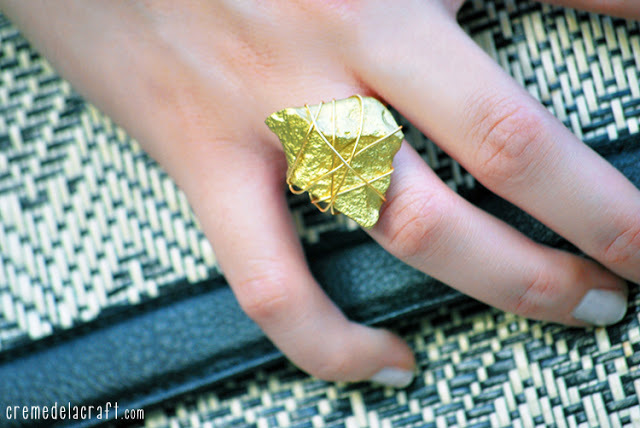 I’m a sucker for statement rings, so I love this DIY gold stone statement ring from Creme de la Craft. And don’t forget about a statement collar. 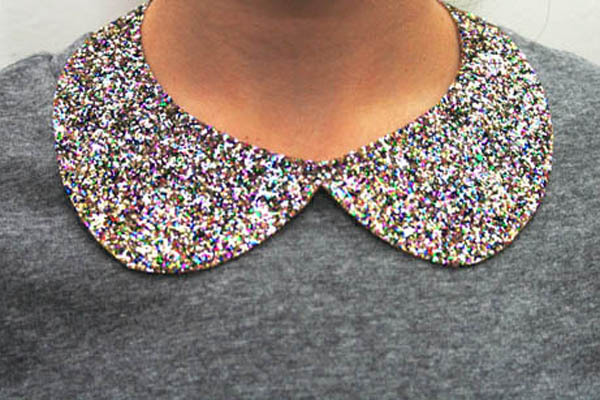 Learn how to make an embellished peter pan collar from Nicole featured on refinery 29’s how to. 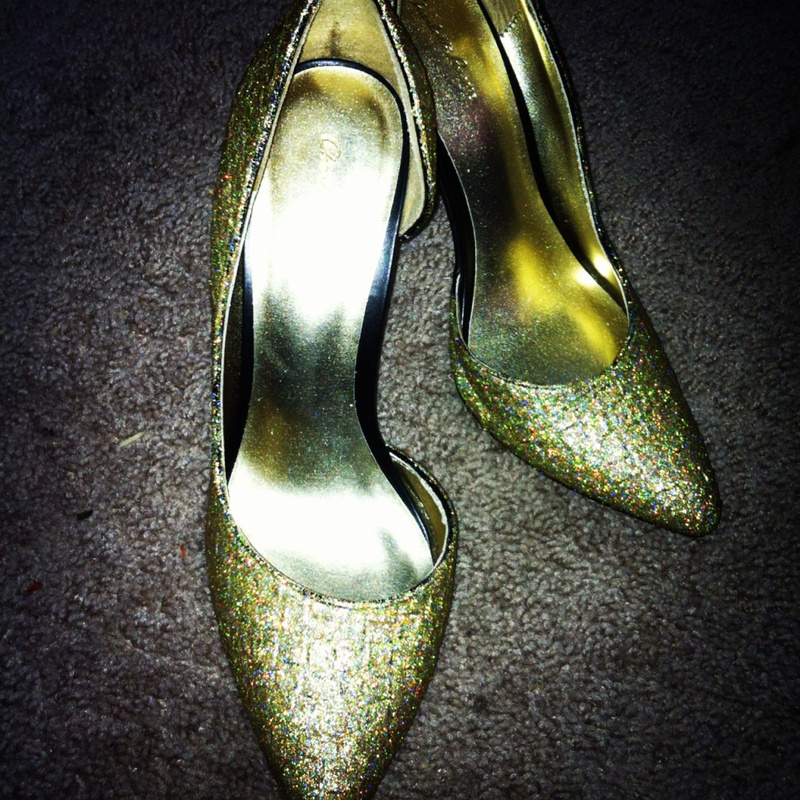 And I’m going to finish off with one of my own DIY tutorials; make your own glitter heels. Which one is your favorite? Inspired to try one or two or all of them yourself? 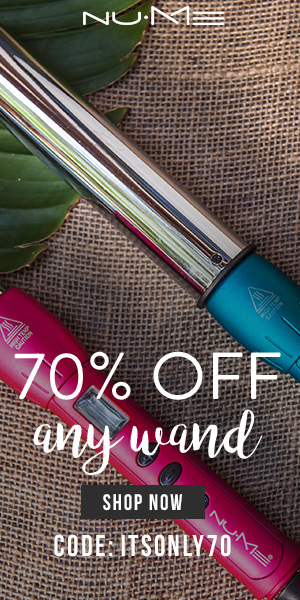 Keep the sparkle flowing through your veins and satisfy your glitter cravings even more by heading to Megan and her list! The edible glitter jewels are so cool!! Aren’t they!! I’m definitely trying them out! I have never heard of edible glitter! Those would be so cute for a girls night! that’s what i was thinking! wine, movies and chocolate jewels! I have GOT to try the edible glitter chocolates. How cool is that?! I’ve been wanting to do the glitter wine glasses for forever now! Need to have a party! 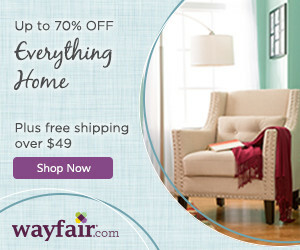 We should do a blogger glitter and wine party!